All the drivers from the bus era would have also been conductors before they were promoted to driver. This is because Coventry Corporation had a deliberate policy that all bus crew members had to start as conductors. It may have been to avoid the charge of poaching because Coventry paid higher wages than any other bus operator outside London. The high wages would have been because of the car and machine tool industries, where wages were traditionally high compared with other cities. It is certainly the case that crews came to Coventry from Midland Red and from other undertakings as far afield as Glasgow. 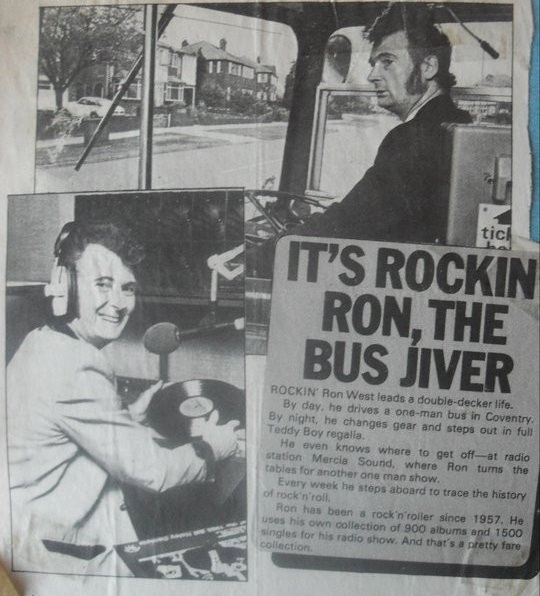 Rocking Ron West drove a WMPTE double decker, but once a week he became a DJ for Mercia Sound. He is pictured here at both work and dressed up in his Teddy Boy suit, playing Rock and Roll from the 1950s. He had a large collection of 900 albums and 1500 singles, which he used to play on his radio show. Ron Batter worked in the driving school. He had been there since the days of CCT in the 1950s. He was Peter Walduck's instructor when he joined CCT from the Midland Red and Peter thought he was "a very nice bloke". After many years service with Coventry Transport he finally left and joined Blackpool buses. The training record below, rescued from a skip at Harnall Lane by Alex Phelan, shows that on September 8, 1959 he had charge of Drivers O'Hara, Ryan and Wilson. 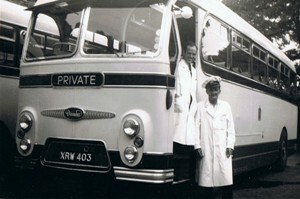 Driver Sykes' first name has not been recorded, but he drove double deckers in the 1940s and 1950s. Graham joined CCT in 1965 and had several very memorable drives in XVC 281, with its Daimler Mk 8 engine. Maurine was one of three female drivers who were the first to be trained as CCT drivers. Previously she had been a conductress, partnering her husband Jim as driver. Later in her career, she became an inspector. Apart from being a CCT driver, Marlene was, apparently, a fisher, having been recorded as fishing the canal "just up from the basin". She was one of the first group of three female drivers. Daphne was the third of the first group of three female drivers. Jim and Maurine originally started their bus partnership with Midland Red and often brought the Wyre Farm pupils back to Coventry from Cleobury Mortimer. 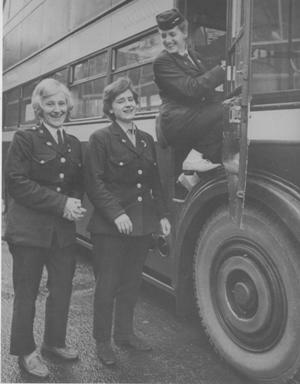 When they moved to CCT in 1956, Coventry was reputed to pay the highest bus crew wages in the country, outside London. Jim is pictured here soon after he joined CCT, possibly before he became a driver. Jim (Dickie-Bow) Davis is seen here (in the cap) standing next to two Daimler Freeline Coaches. Bill Bevan's conductor was the legendary Fred Bevan. Fred used to play the mouthorgan to the passengers on Service 19 to Berkswell and, apparently, Bill used to sing along with him. It is not recorded whether or not they were brothers. 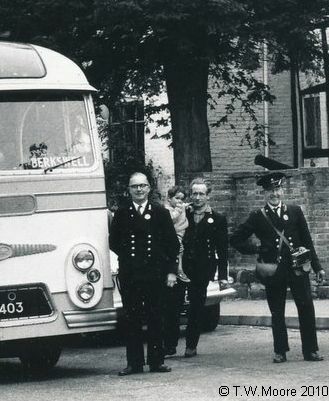 The picture shows Fred Bevan with two other CCT staff at the Berkswell Bear with a Daimler Freeline. Clearly, Fred is on the right of the picture and it is believed that Bill Cooper, who lived in Benton Green Lane, is holding the Child. It is not known whether Bill is the one on the left or whether, on the day the photograph was taken, Fred had a different driver. After he retired, Ray was noted as a skilled model painter and re-modeller who converted a Solido "RT" model to Coventry's famed 99 (GKV 99). 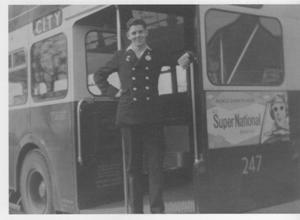 Sid started his career with Coventry Transport as a conductor in 1939 and he did this job up until he was called up. He told that he went to Burma. 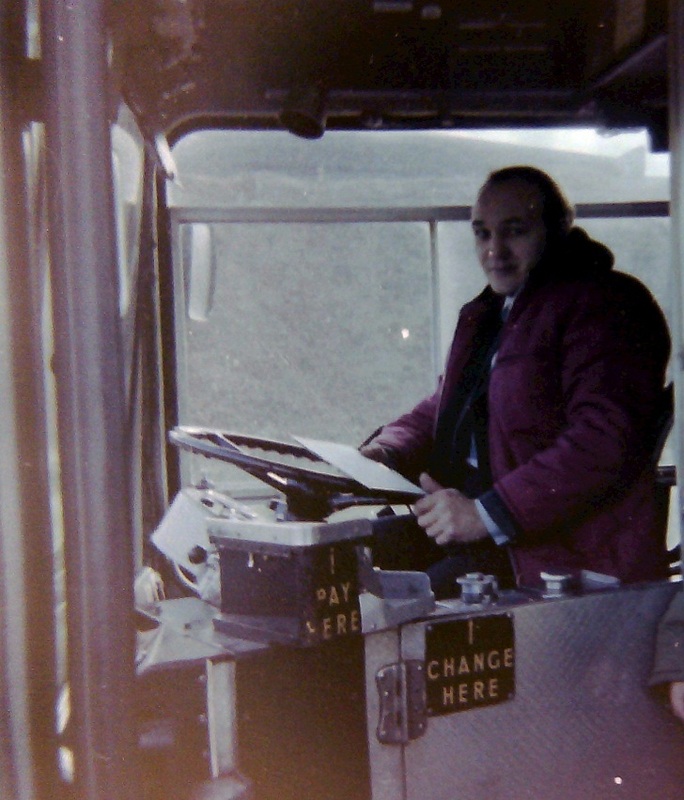 After a number of years in the Army, Sid went back to work on the Buses and became a driver for Coventry Transport in 1946, being based at Foleshill Depot and later at Sandy Lane Garage. He absolutely loved his work and did it up until the day he retired in 1978. In all his 32 Years behind the wheel, he never got so much as a single scratch on any bus that he drove and his Safe Driving Medals are proof of that. Sid had the same Conductor with him for years, whom he thought of as being more like his Son than a work colleague. His conductor was a diabetic and, after finishing his shift at Sandy Lane Garage one day (while Sid was off work on holiday), he walked up over the railway bridge in Sandy Lane and collapsed in the bushes by the toilet block that once stood there and, sadly, died. 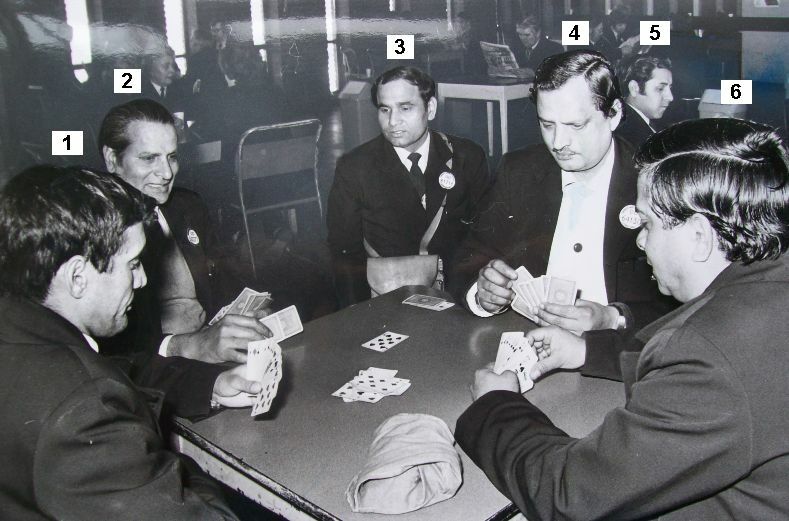 Sid never really got over this loss and ended up working with a number of different conductors. One day he was unhappy with a clippy working on his bus and, when he reached the Radford Terminus, despite his being of a mild and gentle manner, he put her in her place! Sid himself always had a story to tell. Sadly, he died in January 1990. 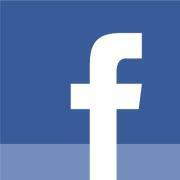 Jack Bullingham was born in 1910 and drove for Coventry Corporation Transport in the 1950s. 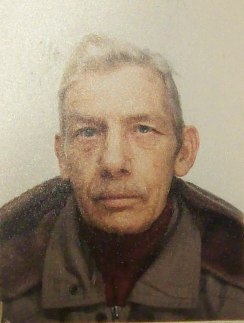 The obituaries column of the Coventry Telegraph dated 18th June 2010 reported the death of former Coventry Transport / West Midlands Travel Bus Driver David Dunne. David Dunne was a popular with his colleagues and his son continued the family tradition of bus driving. Robert Singh started driving for CCT just before the hand-over to WMPTE. Little is known of Robert, but it is thought he later drove for a haulage company. Harry Gillen lived in Canley and was known as a great talker. He died in either the late 1950s or early 1960s. Driver Elford lived in Canley in the same street as Harry Gillen. Jimmy Nixon was a CCT driver in the 1950s. 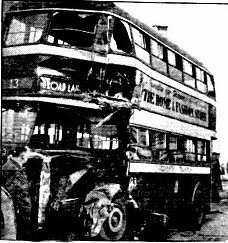 Unfortunately, he was driving one of the two busses involved in a crash on Hearsall Common late on the afternoon of Saturday 1st October 1955. The two buses were Daimlers CVA6, GKV 93, and CVD6, KVC 131. The accident happened at the junction of Canley Road and Tile Hill Lane. Bus 93 was operating Service 13 bound for Broad Lane, while 131 was operating Service 18 from Canley. From the photograph, it is clear that 131 must have pulled out in the path of the oncoming 93. I recall that, at the time, the road markings were not particularly clear and, on foggy days, it was often difficult to see the oncoming traffic. Apparently, the bus Jimmy was driving skidded on ice, but it is not recorded which bus he was driving. T W Moore recounts that they were big repair jobs. "The body structures and chassis frames got a real bending and I know the chassis side members of one of buses was sent to Rubery Owen in Birmingham to be straightened out. When repaired, 93 re-entered service with the rain strip around the front top deck painted maroon instead of cream. It became the only Daimler CVA6 so treated and was instantly recognized." Jimmy Nixon's whole family have been described as "A very lovely family" and Jimmy as "a nice bloke". After the crash, Jimmy was away from work for some time because of the injuries he received and, when he returned to work, he worked in the scheduling department upstairs at Harnall Lane. He was thought to be ex-RAF and to have later moved from Holbrooks to Rugby, where he died in the early 1990s. In August 2011, copies of the above photographs were passed to Mr Mawee, who was still working for Coventry and he named: 1 Mr Palmer; 2 Karnal Singh*; 3 Aula; 4 Moria*; 5 Hussain; 6 Joshi*. The spellings were written down over the telephone, so it is possible that there may be spelling errors. He also confirmed: 10 Terry Curtis; 12 Dave Wale; 13 Boyd Sheldon (by 2011, Boyd was driving for De Courcey); 14 Roy Bennett (his son, Alan, was driving for Coventry in 2011); 15 Paul Smith; 16 Cliff Ellis*. Number 11 was still unknown at that time. Sadly those marked* had already passed away by 2011. 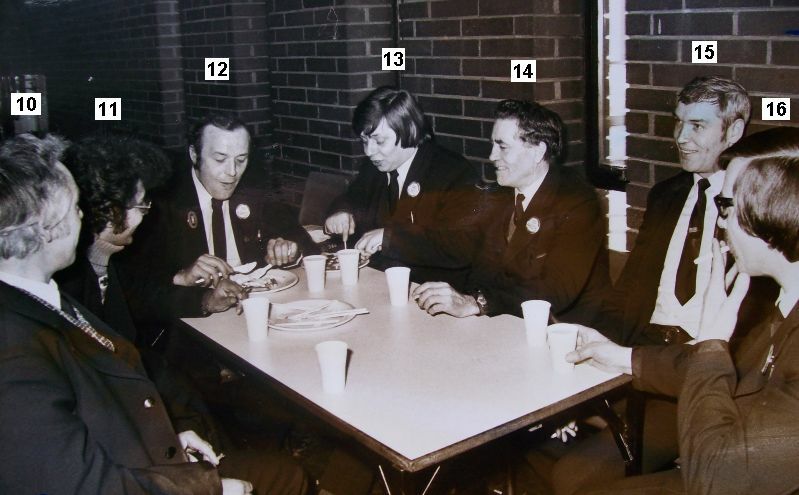 John Kellas was a CCT driver who later worked for WMPTE, where his became an inspector. One of his jobs with WMPTE was that of courier, a less well known job within WMPTE.